I was surprised with the amount of support that My Bullet Journal related videos have been getting. I sincerely thank everyone who have viewed and liked the videos. Bullet Journaling has been a big fun part of my life and I am happy that the community is very welcoming to beginners like me. Anyhow, today is another installment on the Basics of Bullet Journaling. We are through with How to Set Up Your Index Page and Keys as well as guide on Monthly Page. 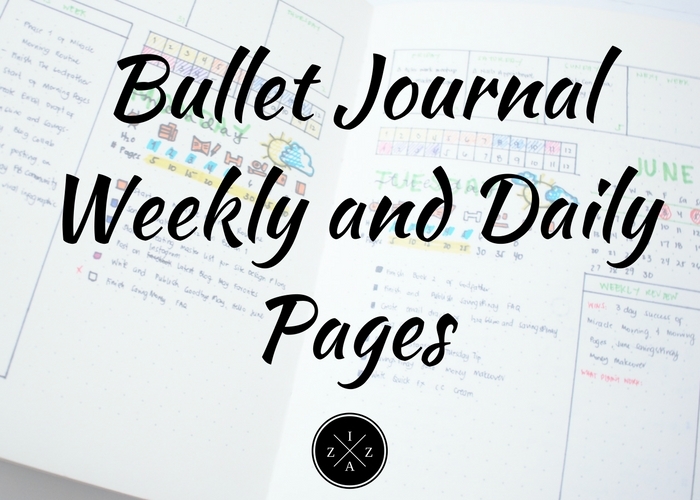 Now our focus will be on Weekly and Daily Pages on Bullet Journal. 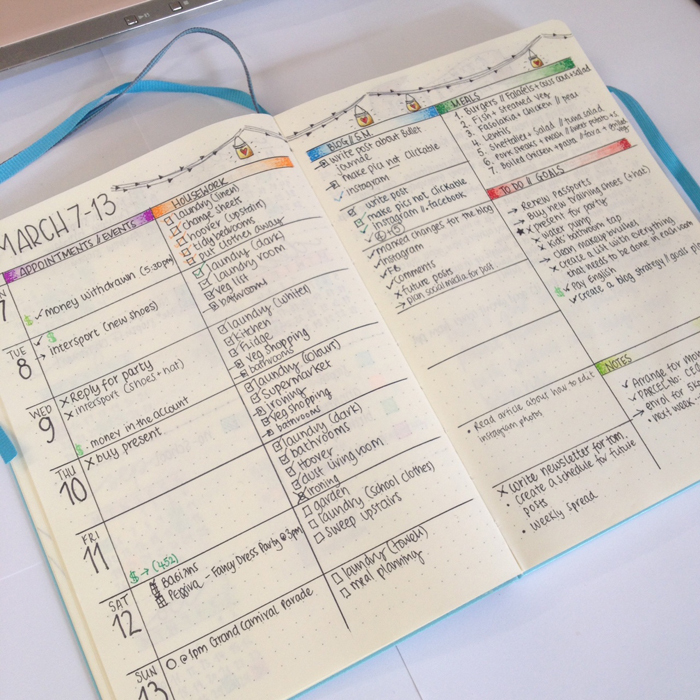 Weekly and Daily Pages are the core of your bullet journal system. Without a good weekly and/or Daily Set Up you can organize and plan your life. A Weekly Page gives a quick glance of the week. This consists of all days of the week and a space to put appointments or reminders. 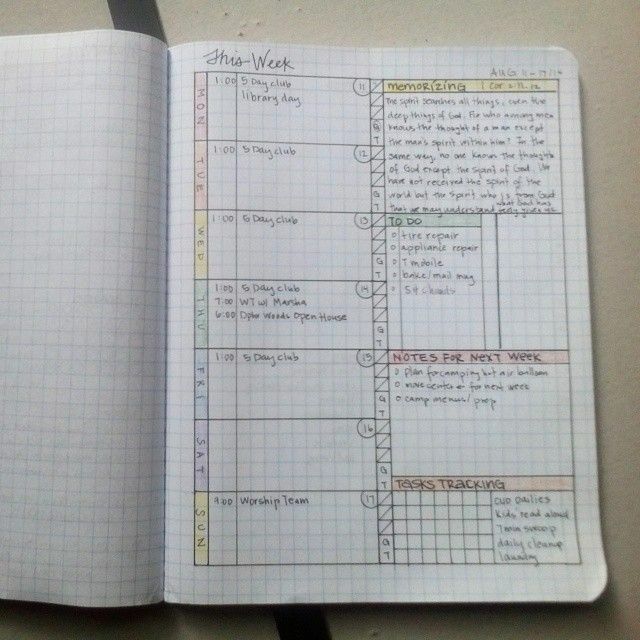 You can also put a Weekly Habit Tracker, Meal Plan for the Week or Budget of the Week. 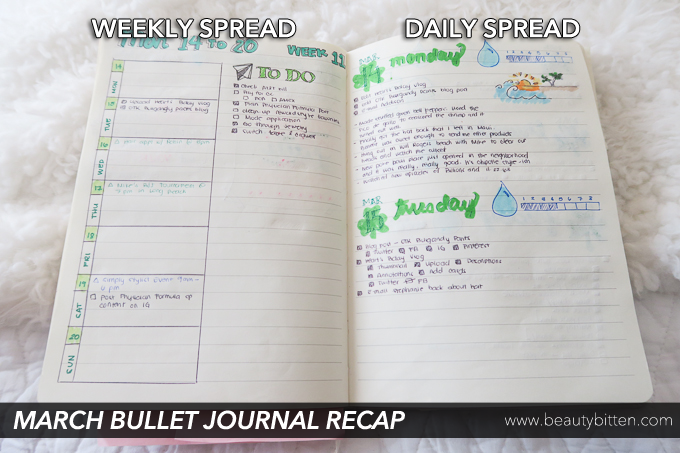 If you are using the Bullet Journal for School you can also add your subjects for week and any recitation or exam that will occur. Now Daily Page functions as your own planner of the day. You can use this to write down your tasks of the day, any notes you need to remember and meetings or events that will occur. Your daily page can also be used as sort of a reflection/diary page. 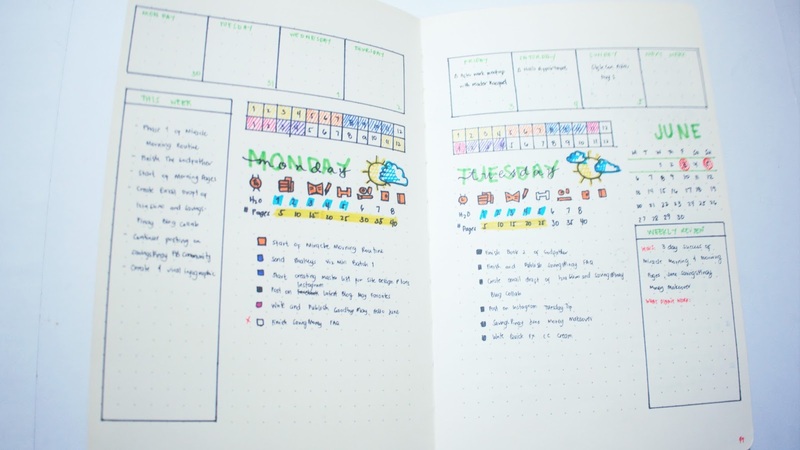 You can choose to have one page or a spread in doing your Weekly Page. Make sure to search first on inspirations before doing any actual work so you won't make any mistake and waste a page. Add seven boxes for each days of the week. You can do this vertically or horizontally depending on your preference. Each box write down the day of the week and the date. Once you have set up your week you can now add any special dates, holidays, birthdays and/or appointments and meetings you have. Customize your Weekly Page by adding a Habit Tracker, Meal Plan and/or Budget. You can also add other elements like a spot for Quote of the Week or Weekly Review. Make sure that you have listed your priority to do list of the week. Keep your weekly set up as simple or as creative as possible just make sure that it works for you. 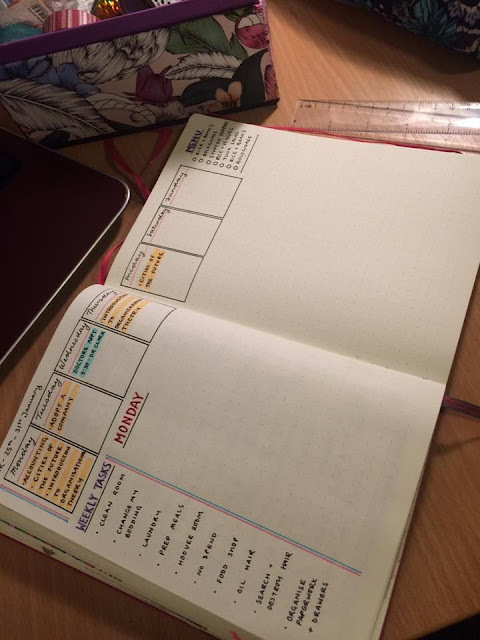 It was setting up my daily pages that I struggled a lot. At first I keep it extra simple by just dumping everything and introduce them with the corresponding bullet. Then I started to get inspired from a lot of great bullet journalists in the internet and I learned to prettify my entries. It is not overly done but I believe my Daily Pages now is soooo different from before and I love it. Write the name of the day with the actual date. This is important to introduce a new day in your Bullet Journal. Create your weather icon if you like to add decoration. You can also doodle on free space. Add a Time-Tracker which basically works for you to divide the time of the day on certain tasks. You'll find yourself more productive because you know now until when do you do an activity. Brain Dump your tasks of the day. This is the part where the bullets matter a lot. Follow the layout that you like and that works for you. Don't let others ruin your momentum. If a layout is not making you productive or happy anymore don't hesitate to stop or to change. Use a notebook you really love and you see yourself using.